Back in September, I helped film a promotional video for 85°C Bakery Cafe, an international bakery that is headquartered in Taiwan. Known as the “Starbucks of Taiwan,” the bakery chain is popular for its Asian breads and sea salt coffee. It has recently expanded to the United States and throughout California. The video was shown at the grand opening ceremony for 85C’s Brea distribution center in Orange County, Calif. The top-of-the-line warehouse and distribution center supports 85C’s stores in the Orange County and Los Angeles region, including popular stores in Chino Hills and Irvine. Here are a few photos I took on the two-day shoot, which took place at 85C’s Brea distribution center and an 85C store in Chino Hills. Note: I would recommend watching the video on Vimeo, where it can be best viewed in HD. The bread counter area at 85C’s Chino Hills store. The store includes a wide variety of breads and pastries, including a ham and cheese bread, Asian sweet bread, and doughnut-type bread. 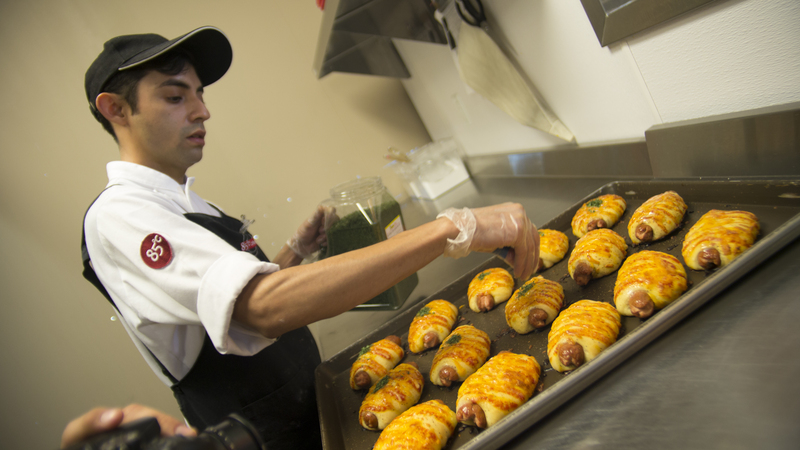 An 85C Chino Hills store worker prepares a pigs-in-a-blanket entree, which includes cheese and meat. 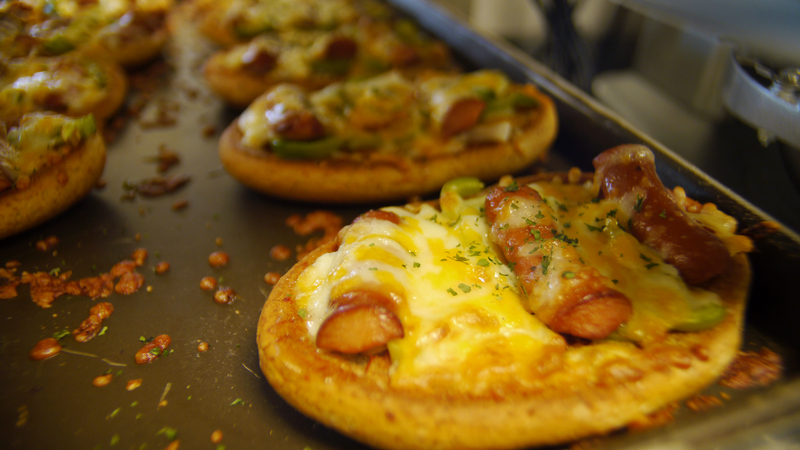 A close-up on some bread topped with cheese and meat that was recently taken out of the oven. Many breads are tagged for four hours, meaning they can only stay out for four hours before they are taken back since they are perishable. According to 85C, all uneaten food is thrown away each night. Part of the videos we worked on, customer training videos, stress that the company is dedicated to giving the highest quality products and service. 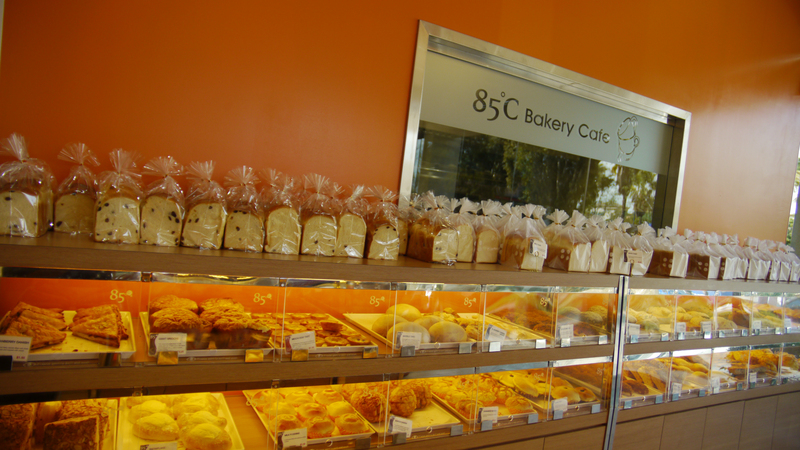 After customers choose breads, they get in line and the 85C workers bag their breads. All of the workers at the Chino Hills store were extremely helpful and professional during our two days filming there, including Mercedes, left, an assistant store manager who oversaw our shoot to show us what we needed to film to best capture the store. The Brea mayor at the time, Ron Gonzalez, who is now a Brea city councilman, came to visit the Brea warehouse during our shoot. 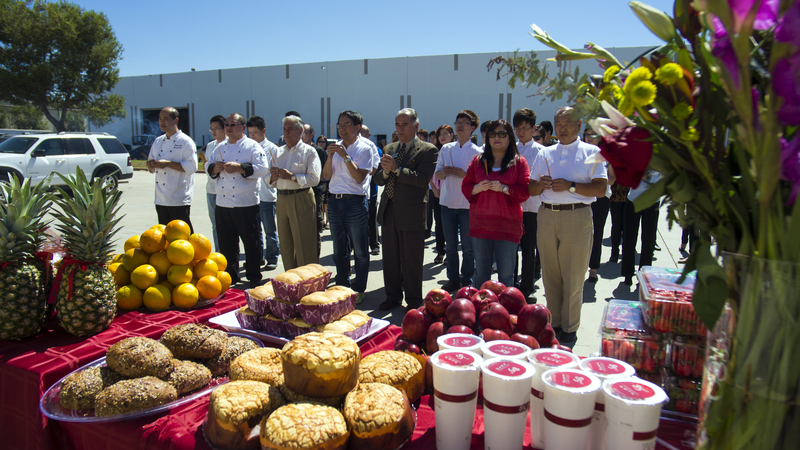 Here he and a few Brea city staff join 85C workers in a traditional Taiwanese ritual meant to bless the new store. In these two photos above, former Brea mayor Ron Gonzalez talks to 85C employees. At left, he is shown how to respectfully perform the ritual; at right, he and his staff is given a sampling of bread from employees. Here is a bonus picture of David, left, the other videographer with me who led the video’s filming and editing responsibilities. Lastly, here is the sign at 85C’s Brea distribution center, one of many warehouses in Brea’s industrial complex area. Video by T&T Pros, Related Grey’s video spin-off team. 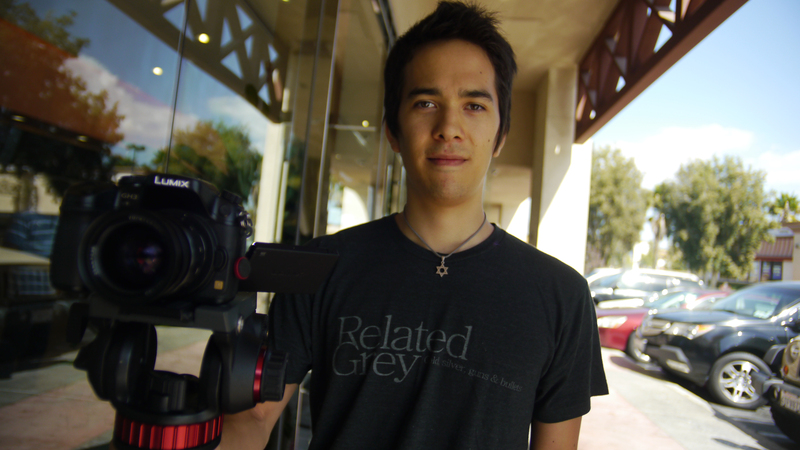 Filmed and edited by David Takahashi, filmed by Tim Worden. Photos and text by Tim Worden with the exception of the photo of the 85C sign and of the workers at the check-out counter, which is by David Takahashi. Copyright T&T Pros, all rights reserved. Special thanks to Related Grey.